Weddings, Alpha Tunes Areas of Expertise. We know that your wedding is going to be the best party of your life. 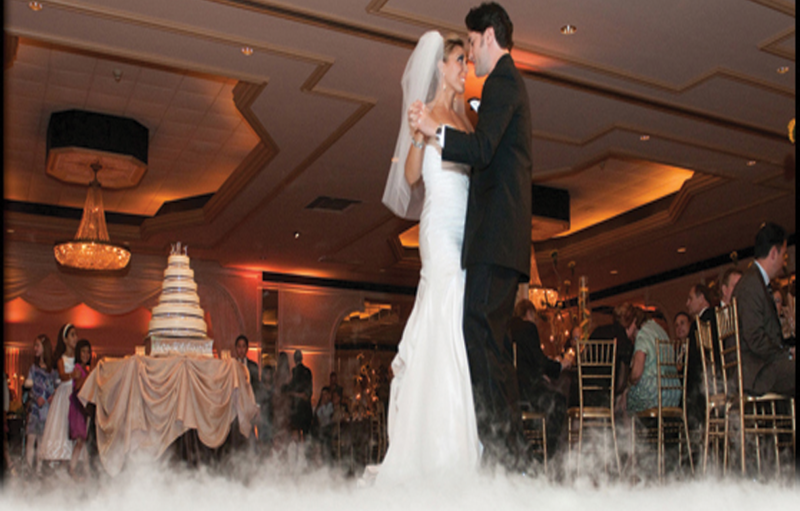 Trust our years of experience to make your wedding everything you dreamed. Your wedding won’t be just another party; it will be a memorable party that people will talk about for a long time. Please inquire about our upgrades. Turn your banquet into an oasis of color. With uplighting, you will be able to accent the room in the color to match the décor of your event. You can even have the color change throughout the evening, either on its own rotation or once the dancing gets started the lighting can blink and change color to the beat of the music. 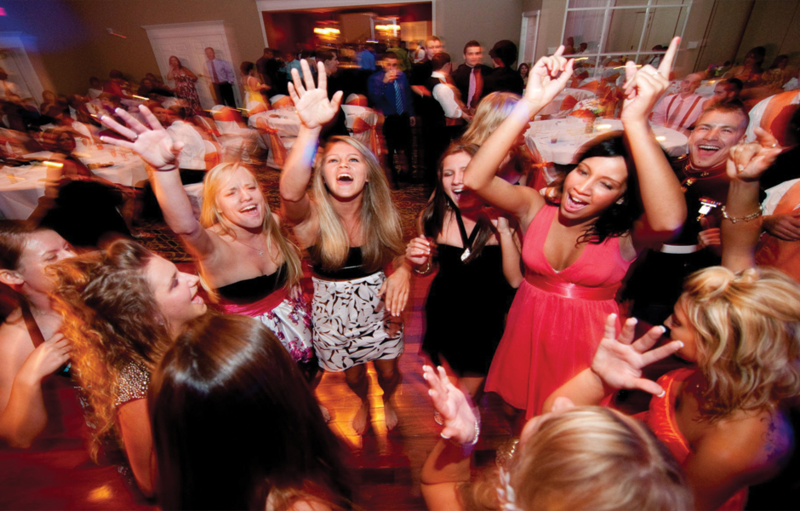 Making your event an all out dance club experience. Would you like to see your name in lights? We can make a custom monogram and display your name or company logo in lights. Dazzle your crowd. Make them feel as if they were dancing in the hottest club. With our intelligent lighting packages we can transform the room into a dazzling light show. We have a vast collection of moving heads, scanners and all kinds of intelligent lighting to achieve the ultimate dance party. Having a major event? Large scale function? Have our custom lighting designers transform any venue into a Rock concert or nightclub. This for large-scale events such as school dances, fashion shows, corporate events, or any reason to have a party. We will custom design, set up, and run a full-scale intelligent light show allsuspended from trussing built throughout the room. We can also provide sound with a monster sound system to accommodate any number of guests from 500 to 1500 or more. This is a custom package and must be quoted out per individual basis. The only limit is your imagination. We make your special day our priority. We provide pre planning assistance. We work with all your vendors to create a smooth memorable wedding. 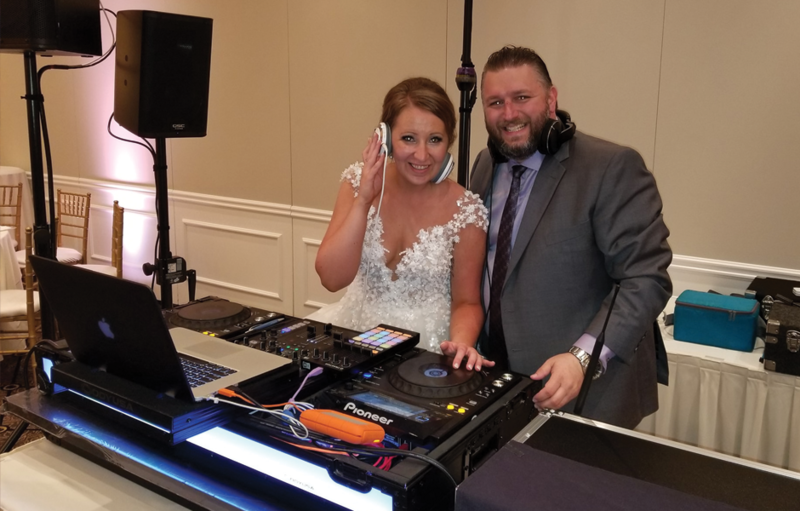 Thank you alpha tunes for doing such an amazing job at our wedding! Thanks for being so detailed oriented and for playing such an awesome variety of music. We got a lot of compliments on the song selections! Hope you had a great time too. Jim and his crew were AMAZING! 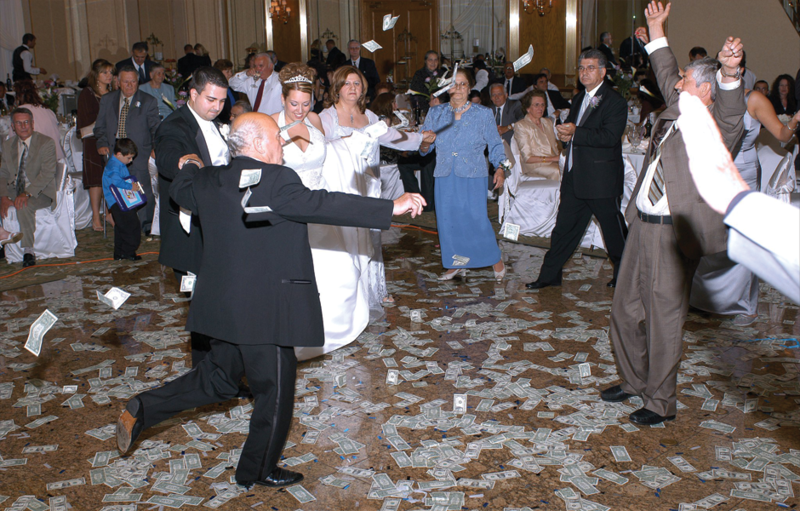 Having a half Greek/half American wedding, I was a little nervous about the music blending and everyone having a good time. These guys knocked it out of the park! The dance floor was packed the entire night, their music selections were spot on, and they even brought small fans to point at the dance floor when it started getting hot! Honestly, I couldn’t have asked for a better experience! Everyone has been telling me how good they thought these guys were.